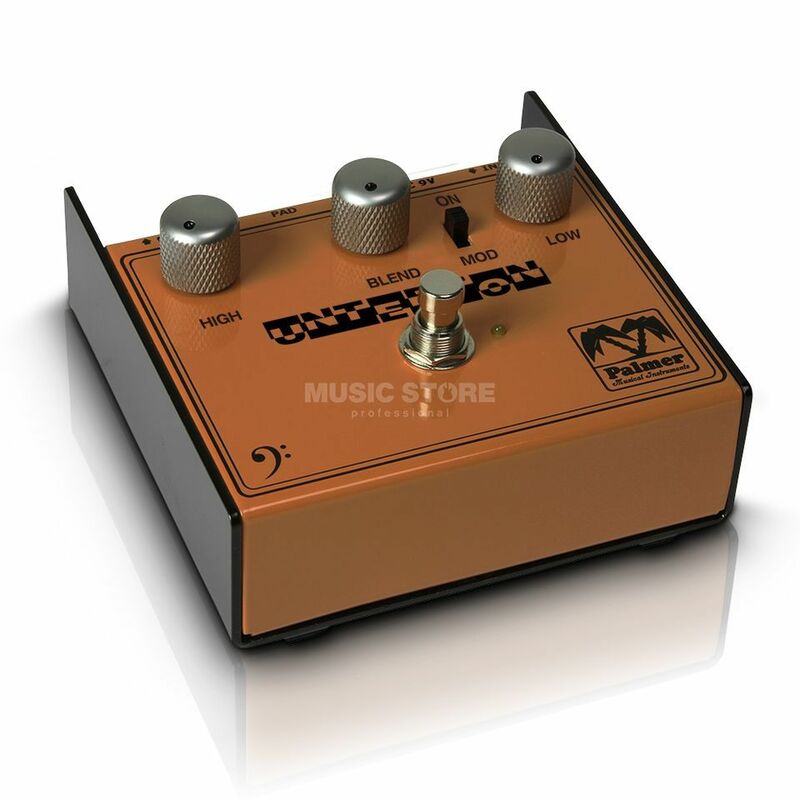 The Palmer Unterton Bass Octave Pedal is a bass octave pedal, featuring Low, Mix, and High controls, operable from 9V, in a brown chassis. The Unterton is a special type of octave pedal for bass guitar, as it can provide straight octave effects but can also create distorted and unique octave sounds with rich overtones and an interesting life of its own. The PAD switch allows you to use the unit with active and passive basses.